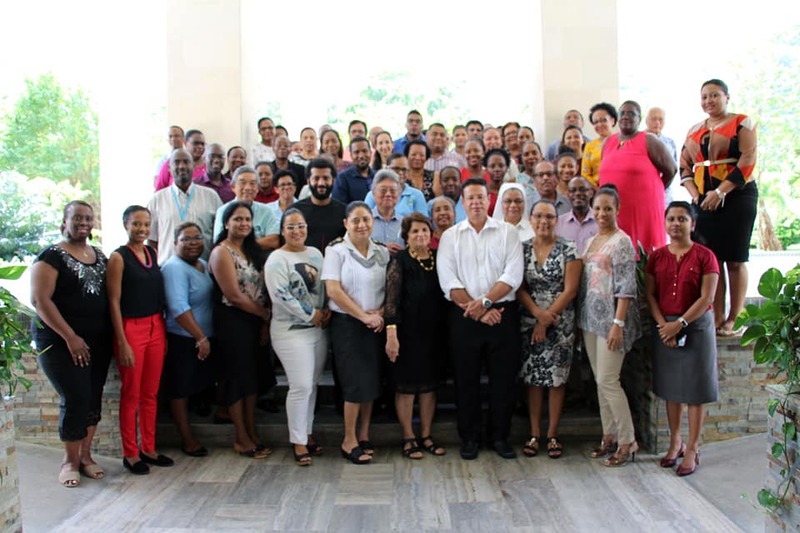 Seychelles, 6th August 2018 - Ministry of Health in collaboration with World Health Organisation (WHO) has ended a two days workshop to develop the Seychelles Nation Action Plan on Health Security (NAPHS). The workshop took place at the Savoy Hotel, Beau Vallon, Mahe on Wednesday 1st and Thursday 2nd August 2018. It was facilitated by two WHO staff, Dr Allan Mpairwea and Mr Antonio Oke and brought together multi stakeholders including various line Ministries and agencies, Laboratories, Educational institutions, Media houses, and Port and Airport authorities. The process of developing the country’s NAPHS comes only 5 months after the country conducted its first ever Joint External Evaluation (JEE) earlier in March this year. This initial workshop is a first step to develop a clear plan to strengthen the health system, improve emergency response to public health threat and enhance the country’s International Health Regulations (IHR) core capacities for the next five years. Seychelles is amongst the member state countries that has so far completed a JEE to assess its capacities to detect, prevent and respond to national, regional and internal public health risk, including threats from infectious diseases, chemical and radiological events. This first workshop was aimed at reviewing the recommendations of the JEE, identify priority actions and come up with a first draft NAPHS. With the support of the WHO, the country plans to host a second workshop in the coming months to validate and cost the NAPHS. This is to ensure that the country is in line with recommendations of the IHR review committee for all State Parties to update a national action plans within one year of the JEE. Speaking at the end of the two days’ workshop, WHO Consultant Mr Oke congratulated the team on its commitment and ambition to have the NAPHS finalized and validated by the end of the year.